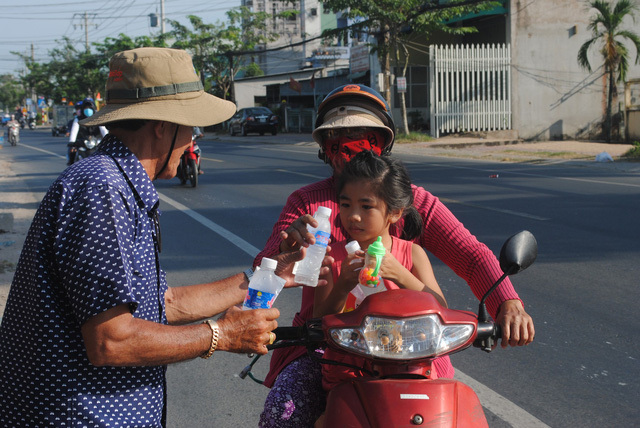 A middle-aged man in Vietnam’s Mekong Delta on Wednesday started giving free bottled water and tissues to motorcyclists to help them drive safely at a time when a flux of people are gravitating back to their hometowns for Lunar New Year family reunion. 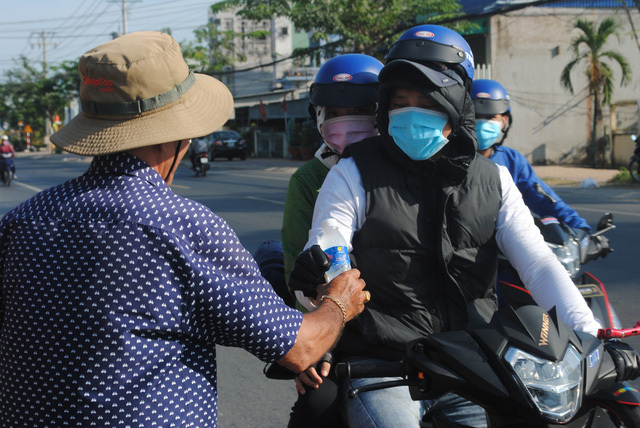 As Vietnam’s longest and most important public holiday Tet is just a few days away, a number of people working in Ho Chi Minh City and other major cities are traveling long distances to return to their homes in the Mekong Delta. 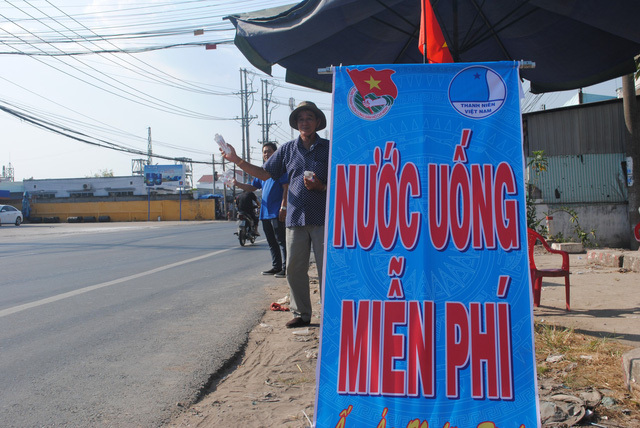 They may cross Dong Thap Province’s city of Sa Dec, where Nguyen Van Thanh is standing on the road offering complimentary water and tissues to any riders who pass by. 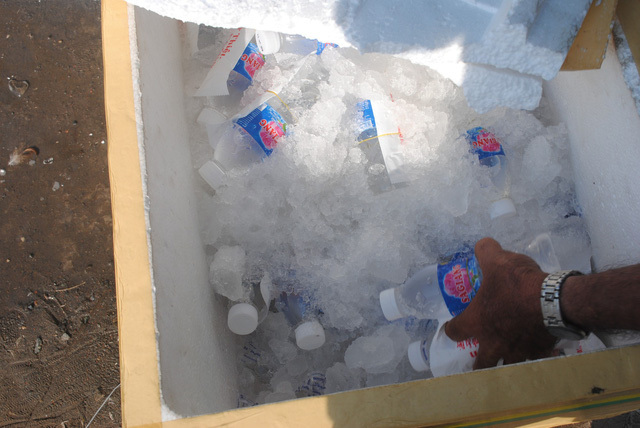 They were the gifts from a collection of 7,000 tissues and 5,000 drinking water bottles the 53-year-old local had bought using money he solicited from donors. 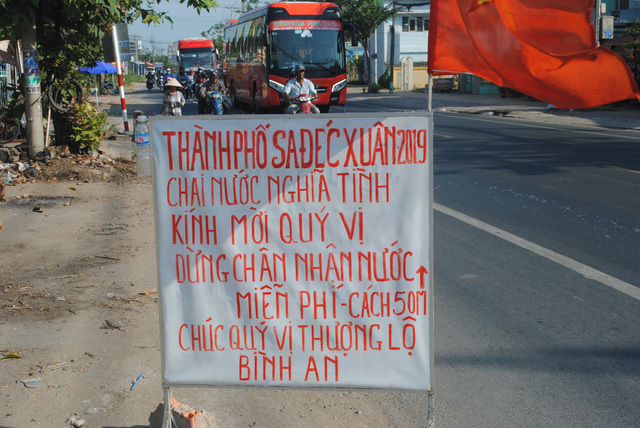 And around 50 meters before it, he placed another sign saying the gift-giving point is near, so that drivers can slow down and pull in without road incidents. “I wish to help young and disadvantaged people a safe homeward journey by making them maintain their attention on the road,” he said. Several college students volunteered to join hands with him in the activity, which will last through Sunday, the penultimate day before the beginning of the new lunar year. 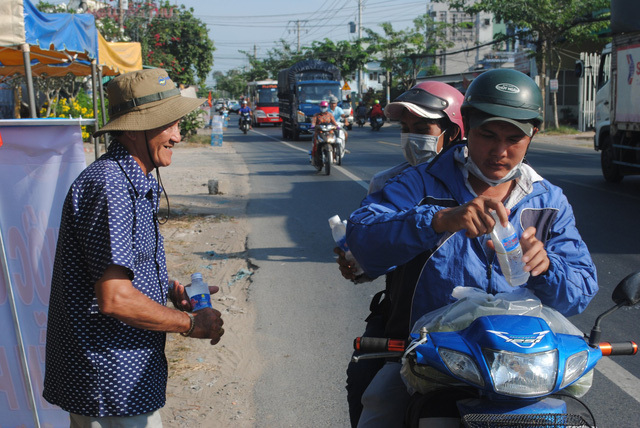 “Although a drinking water bottle and tissue given do not cost much, I really appreciate the deed,” said a motorcyclist Nguyen Van Toan.